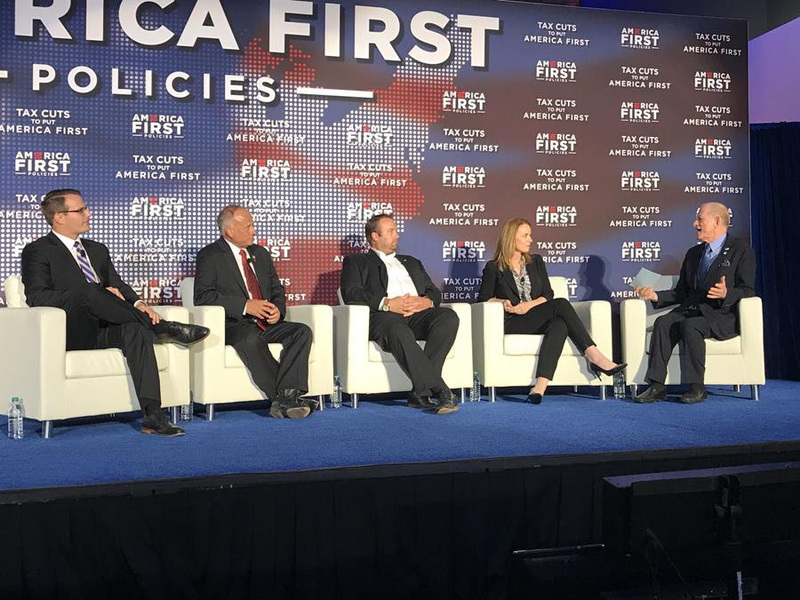 America First Policies made its 24th stop on its “Tax Cuts to Put America First” tour yesterday, August 15, at the Community Choice Credit Union Convention Center in Des Moines, Iowa. The event featured a panel with U.S. Representative Steve King; Lieutenant Governor Adam Gregg; owner of The Jerald Sulky Company, Erik Lee; and Chief Communications Officer of the Job Creators Network, Elaine Parker. The panel discussed how the tax legislation is affecting Iowa residents, families, and businesses, and the nation as a whole. After the panel, Governor Kim Reynolds introduced the Vice President to a crowd of more than 250 people. “We cut taxes for working families – and the typical family of four in Des Moines will save nearly $3,000 every year on their taxes. We cut taxes for businesses large and small so that companies here in Iowa can compete and win with companies anywhere in the world,” said the Vice President. To view the Vice President’s full remarks, click here. To read more about the event, click here.